The Philippine Association for the Advancement of Science and Technology (PhilAAST) has given Dr. Enrico Paringit the recognition of being one of the five outstanding researchers. Dr. Paringit, an engineer by profession and a professor at the University of the Philippines (UP) College of Engineering, made almost decades of research and development (R&D) of utilization of spatial technologies (i.e. resource management, environmental monitoring, and hazard assessment) that became the basis for hazard and disaster risk reduction and management. 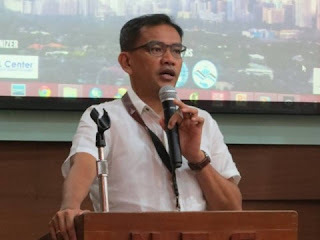 He graduated with a degree of BS Geodetic Engineering in 1997, MS Remote Sensing in 1999, and Doctor of Engineering in 2003 and dedicated his professional career in serving his academe, the University of the Philippines. “Dr. Paringit’s academic leadership is exemplified when he held the positions of Chairman and Director of the UP Department of Geodetic Engineering and Training Center for Applied Geodesy and Photogrammetry (TCAGP),” PhilAAST cited. Paringit was also entrusted with government-based projects by the Department of Science and Technology (DOST) and Climate Change Commission such as the sensor calibration and validation component of DIWATA, the Philippines' first microsatellite, and hazard mapping of the Philippines using LiDAR, a surveying method using laser light. His award, the David M. Consunji Award for Engineering Research, was recently established by PhilASST and DMCI Holdings, Incorporated to give recognition to outstanding researchers in the field of engineering.